Ladies and gentlemen, I'd like to introduce you to Ben Montague. This handsome young man is about to unleash a brand new single, "Love Like Stars" on June 18th and I have to say, after listening to the studio version I'm left completely mesmerized, wanting more. An epic, sweeping, mid-tempo ballad, "Love Like Stars" is a cinematic, soundtrack-ready stunner, complete with a big swelling chorus, backed by a lush, beautiful orchestra. You can get a sense of the song below by watching Mr. Montague sing it live at London's O2 Arena, but the studio version is infinitely more amazing. TRUST ME (listen HERE). Ben Montague is definitely worthy of my 'Ones to Watch' title and I think you'll agree. 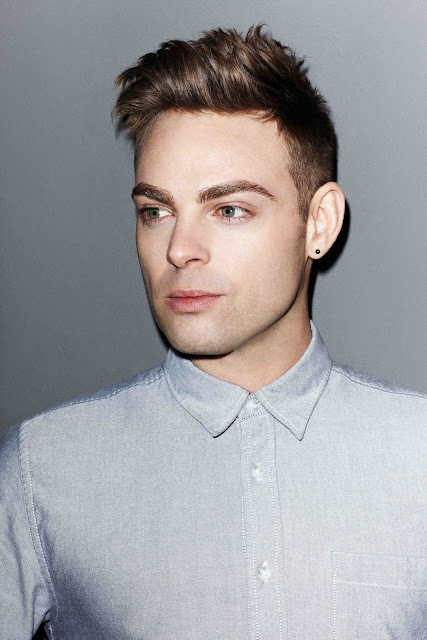 Two years ago, Ben Montague saw some success with his debut single, "Haunted," (watch the music video BELOW) after it became a radio hit in the UK. At the time, Montague was completely unattached with no record deal or album to his name. Now it's 2012 and Montague is ready to release his new album, Tales of Flying and Falling, backed by a record label - Nusic Sounds/EMI and a beautiful lead single. "This was always my dream – to make an album with one producer, in one studio. To take my time and make sure every song sounded as good as it could. Working with Dave was amazing. He’s a rock guy; I write pop songs. We bonded over old-school desks and old-school mics and a love of authentic, epic music." Sounds like a real meeting of the minds. Just coming off a tour with the internationally successful boy band The Wanted, Ben Montague is ready to embark on his own headlining tour this June, where he will showcase songs from his new album. Check out a full list of tour dates below and catch Ben on tour if you can. U.S. fans can download his debut, self-released album Overcome on iTunes HERE, which includes his debut hit single "Haunted."